My goal is to take a genuine interest in my clients, understand what they hope to achieve, and exceed those expectations. Ben is licensed to practice law in Mississippi, Tennessee and Arkansas. He has been practicing since 2007. He is also a Public Defender. 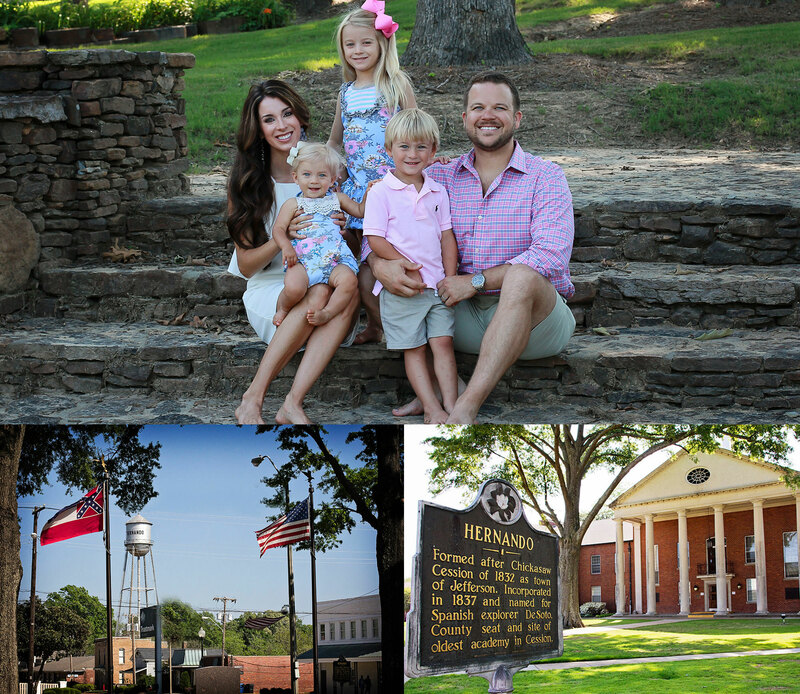 Ben lives in Hernando with his wife Misty and their 3 children. Including: DUI, Criminal Defense, Divorce, Expungements, Child Custody, Child Support, Family Law, and Personal Injury. My goal is to take a genuine interest in my clients, understand what they hope to achieve, and exceed those expectations. 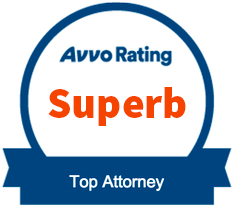 I will work hard for my clients by providing superior legal services. Ben Murphy is a native of DeSoto County, Mississippi. He is a graduate of Southaven High School and earned his undergraduate degree from the University of Mississippi with a concentration in Human Resource Management. Upon completion of his undergraduate studies, Ben was accepted to the University of Mississippi School of Law. He spent a summer semester of law school at the University of Hawaii before graduating early. 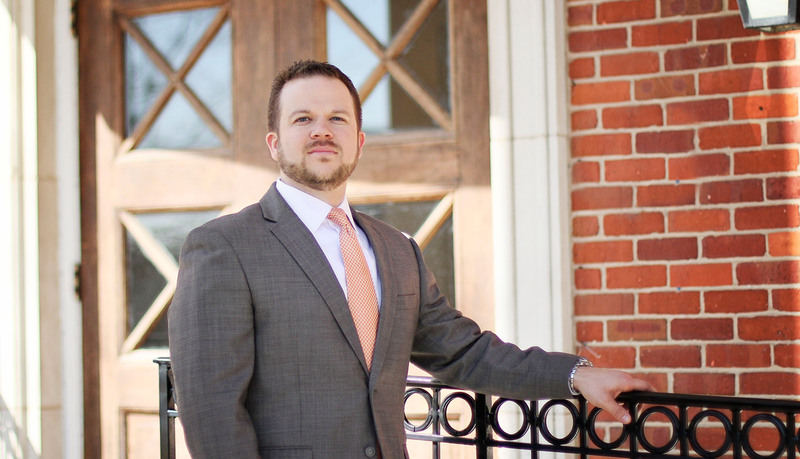 Ben is licensed to practice law in Mississippi, Tennessee, and Arkansas and has been doing so since 2007. In addition to his private practice, Ben serves as Municipal Judge for the City of Horn Lake, Mississippi and the Public Defender for the Municipal Court of Southaven, Mississippi. Since beginning his practice, Ben has been a certified Guardian ad Litem whose duty is to represent the best interests of a child or incapacitated person for the purpose of legal proceedings. Currently, he also serves as Vice-President of the DeSoto County Bar Association. Ben has been an active member of Getwell Church in Southaven, Mississippi since 1991. He is a member of the New Young Married Sunday school class, an usher, and a member of the hospitality team. In the past, Ben has been Chairman of the Staff Parish Relations Committee, children’s church leader, and small group leader. He is also a graduate of Leadership DeSoto’s class of 2012. Ben lives in Southaven, Mississippi with his wife and their three children. In his spare time, Ben enjoys spending time with family and friends, hunting, fishing, Ole Miss football, and cooking. Ben Murphy has extensive knowledge in assisting clients in cases such as driving under the influence, meaning the act of driving a vehicle with blood levels of alcohol in excess of a legal limit. This also includes operating driving or operating certain kinds of machinery. In civil proceedings and criminal prosecutions under the common law, a defendant may raise a defense in an attempt to avoid criminal or civil liability. Besides contesting the accuracy of any allegation made against him or her in a criminal or civil proceeding, a defendant may also make allegations against the prosecutor or plaintiff or raise a defense, arguing that, even if the allegations against the defendant are true, the defendant is nevertheless not liable. In the event that you are facing or expecting criminal charges, it is important that you seek legal counsel immediately. 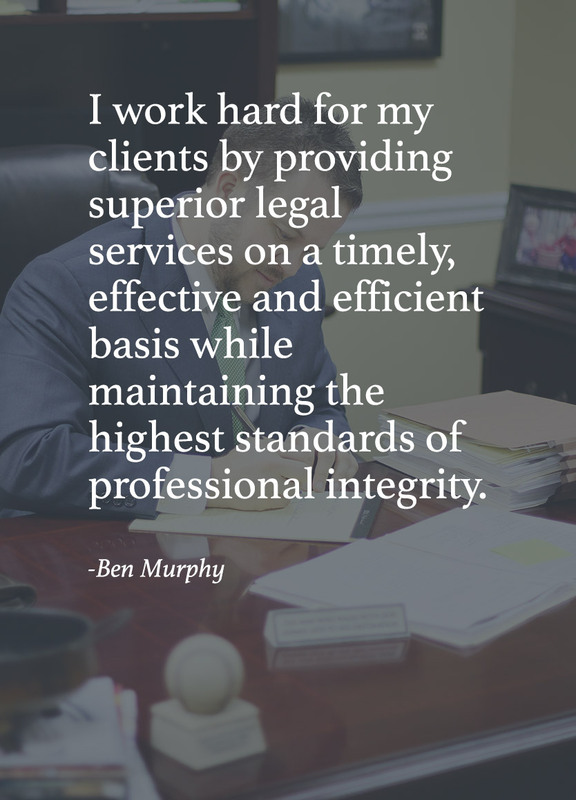 Ben Murphy has the experience and knowledge to successfully defend your case. Ben has extensive experience in advising clients in the event of a divorce. Otherwise known as the dissolution of marriage, it is the final termination of a marital union, canceling the legal duties and responsibilities of marriage and dissolving the bonds of matrimony between the parties. Ben Murphy can assist you in the legal process for divorce involving issues such as alimony (spousal support), child custody, child support, distribution of property and division of debt. In the common law legal system, an expungement proceeding is a type of lawsuit in which a first time offender of a prior criminal conviction seeks that the records of that earlier process be sealed, thereby making the records unavailable through the state or Federal repositories. If successful, the records are said to be "expunged". Black's Law Dictionary defines "expungement of record" as the "Process by which record of criminal conviction is destroyed or sealed from the state or Federal repository." While expungement deals with an underlying criminal record, it is a civil action in which the subject is the petitioner or plaintiff asking a court to declare that the records be expunged. Child custody and guardianship are legal terms which are used to describe the legal and practical relationship between a parent and his or her child, such as the right of the parent to make decisions for the child, and the parent's duty to care for the child. While most parents cooperate when it comes to sharing their children and resort to mediation to settle a dispute, not all do. For those that engage in litigation, there seem to be few limits. Court filings quickly fill with mutual accusations by one parent against the other, including sexual, physical, and emotional abuse, brain-washing, parental alienation syndrome, sabotage, and manipulation. Ben Murphy has extensive knowledge in guiding his clients through the legal process of child custody and guardianship. Child support (or child maintenance) is an ongoing, periodic payment made by a parent for the financial benefit of a child following the end of a marriage or other relationship. Child maintenance is paid directly or indirectly by an obligor to an obligee for the care and support of children of a relationship that has been terminated, or in some cases never existed. Often the obligor is a non-custodial parent. The obligee is typically a custodial parent, a caregiver, a guardian, or the state. Ben Murphy can guide you through this legal process. Family law is an area of the law that deals with family-related issues and domestic relations including: the nature of marriage, civil unions, and domestic partnerships; issues arising throughout marriage, including, but not limited to: spousal abuse, legitimacy, adoption, surrogacy, child abuse, child abduction, divorce, annulment, property settlements, alimony, and parental responsibility orders, Paternity fraud and testing, and juvenile adjudication. Do you have questions that aren't answered here? 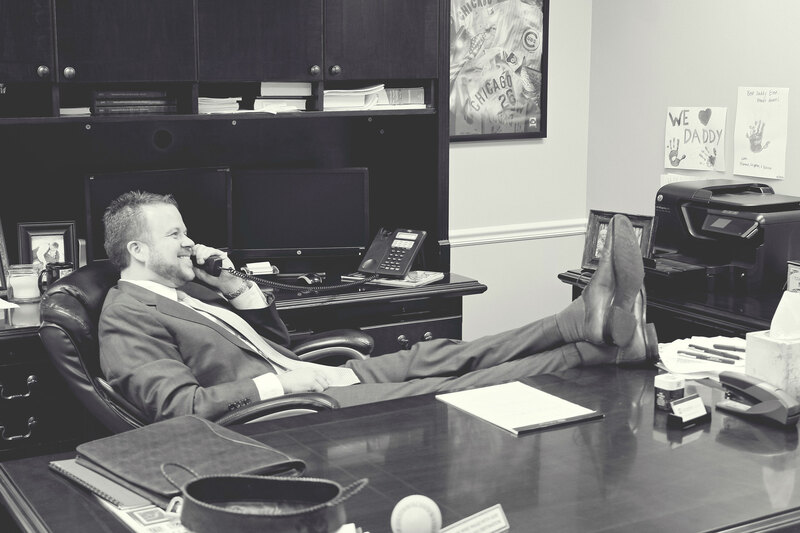 Give us a call today to discuss your legal needs, 662-449-1000 or email your questions to bmurphy@murphy-attorney.com. My goal is to take a genuine interest in my clients, understand what they hope to achieve, and exceed those expectations. I will work hard for my clients by providing superior legal services on a timely, effective and efficient basis while maintaining the highest standards of professional integrity.